We're traveling to dinner on both sides of the family this Thanksgiving, and inevitably bring one of our favorite comfort foods, green bean casserole, as our side dish every year (I just might dress it up this time with this recipe). 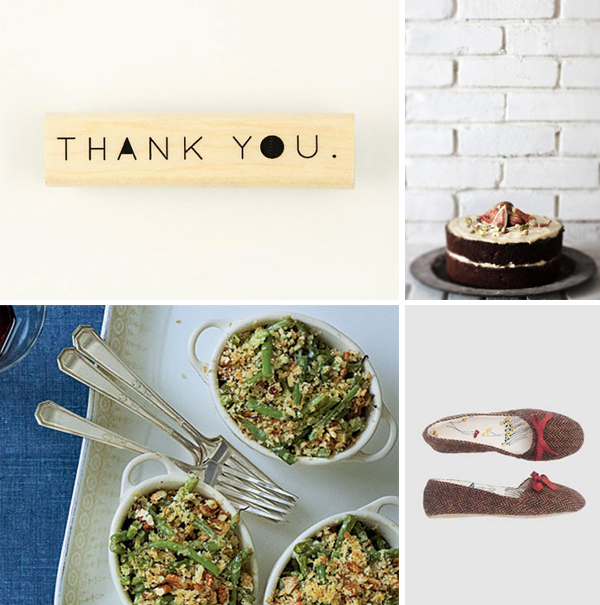 I also like this harvest cake, thank you stamp, and cozy slippers...they simply remind me of spending Thanksgiving full of comfort, gratitude, and as always, plenty of food. That green bean gratin looks delish! Hope you had a wonderful Thanksgiving!